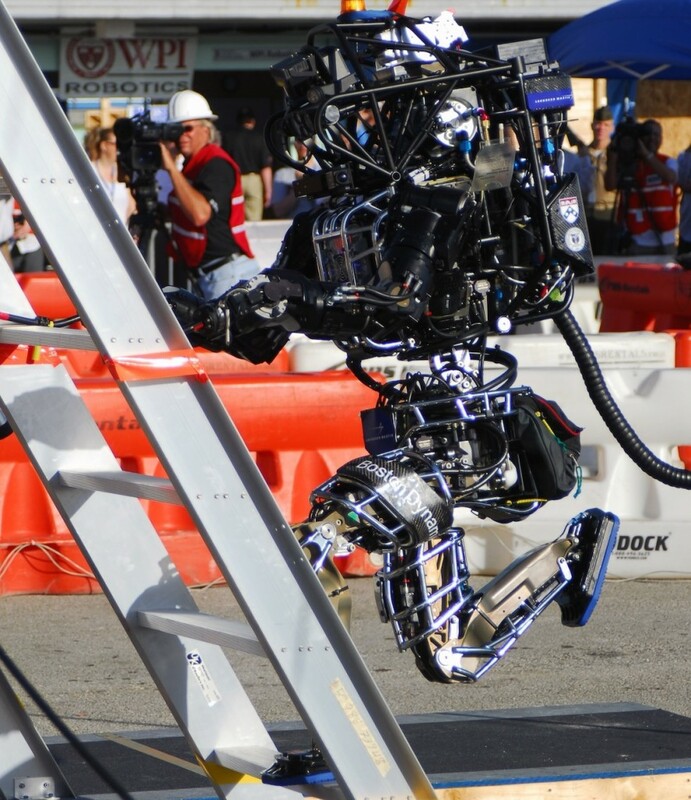 Teams of roboticists from around the globe will convene in Los Angeles for the third and final round of the DARPA Robotics Challenge on June 5th and 6th, 2015. 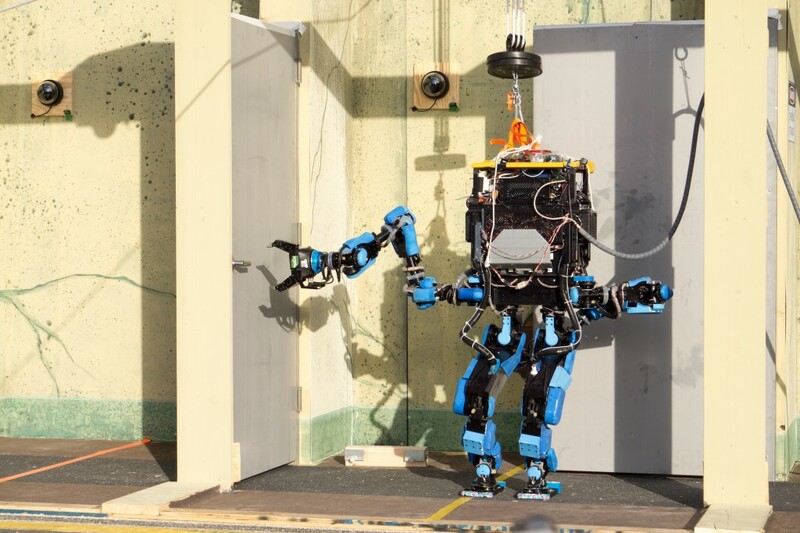 For this phase, DARPA will be cutting the safety tethers, power cords, and network connections that previously assisted robots. The roster of participants has also changed, with Japan, Korea, and the EU electing to sponsor teams and Team SCHAFT, winners of the last phase, deciding to withdraw from the competition. DRC Program manager Gill Pratt explained that by raising the stakes and expanding participation, DARPA is hoping to foster the development of more advanced autonomous behavior for robots that operate in complex environments. Pratt started the announcement by explaining how the Challenge has already exceeded his expectations. At the DRC Trials held last December (check out our beginner’s guide if this is news to you), organizers expected the winning team could maybe score about 15 points, but four teams exceeded that number and SCHAFT won 27. 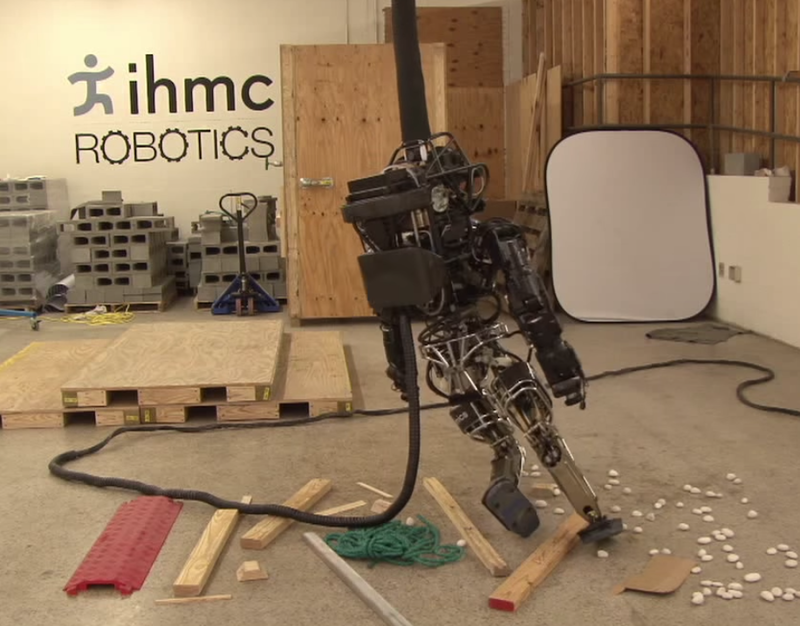 Now that participants have shown what they’re capable of, DARPA wants to push them further. He explained that robot hardware was, across the board, robust, and teams did surprisingly well with grasping and dexterity, mobility, and human-robot interface design. But it’s time to solve, in Pratt’s words, “the really hard part of the robotics problem.” He wants humans and robots to be able to collaborate more effectively in the field by leveraging the unique capabilities of both. To see this happen, he’s changing the rules to force teams to rely less upon the remote control of individual joints and motions and instead implement task-based interfaces that incorporate advanced perception, minimal human guidance, and complex autonomous behavior. At the DRC trials last December, the robots often moved excruciatingly slow and depended upon the careful control of remote human operators. Even with this divine guidance, they still fell down on their safety tethers quite often. But these handicaps will be gone in the next round. DARPA organizers want to see how well a robot can perform in the field without an umbilical cord, so they’re cutting the robots’ physical and electrical tethers. They’ve also decided that robots will entirely lose their network connection “for a substantial fraction of the time available” explaining this had the goal of preventing direct teleoperation. Pratt explained that these requirements were added to more accurately simulate the challenges faced by disaster robots at Fukushima-Daiichi. Robots depended upon limited battery power and thick concrete and steel-reinforced walls in the plant made network connectivity intermittent at best. And there certainly weren’t any safety lines to prevent the robots from falling. Whenever the robots have a network connection, they’ll have significantly more computing resources than were available in the last round. Organizers are curious about the new paradigm of cloud-assisted autonomy and want to see how it could be used in field robots. So robots will have access to “as much computing power, as much disk space, as much crowd-sourced expertise” as the teams desire. Robots will also be able to connect to the internet. Look for DRC robots to ask for your assistance via Facebook next summer! Pratt also announced that the governments of Japan, Korea, and The EU are planning to sponsor teams. In light of this funding infusion, and the surprising performance of unfunded teams in the last round, DARPA has invited more teams to join this final round of the competition. Any team that can demonstrate a robot completing several “simple” DRC tasks is invited to submit a video to the DRC website by February 2nd, 2015. Eleven teams are qualified at this moment but organizers are hoping 24 teams will participate next June. Another important announcement today was the news that Team SCHAFT – winner of the December trials – has withdrawn from the competition to focus on commercializing its technology. Remember that Google acquired SCHAFT last December. Considering executives’ assertions that Google had no plans to become a military contractor and the rumor that started circulating in January, SCHAFT’s disaffiliation from DARPA isn’t too surprising. As announced in March, the funding to which SCHAFT was entitled will be distributed among two previously-unfunded teams, THOR and ViGIR. By making the challenge so demanding and offering a $2 million prize, DARPA is hoping to lay the technological foundation for more autonomous and capable robots in the commercial market. In fact, DARPA will measure the success of the competition in part by the commercial investments in robotics that it inspires. To help DRC technology reach the market, DARPA and some participating teams plan to publish the lessons they learned in the challenge in academic journals. Left: Team Stanford’s Stanley, the winning car of DARPA’s 2005 Grand Challenge. It’s reasonable to expect success — by hosting the Grand Challenge in 2003, DARPA turned the key on autonomous vehicles. Google acquired the winning team from Stanford, so you can trace their autonomous car’s lineage back to DARPA. With SCHAFT’s announcement and Google’s acquisitions of it and Boston Dynamics, history is repeating itself. Dr. Pratt’s vision of the DRC’s legacy seems to be materializing before the competition even finishes. For more DRC reading, see our interview with Dr. Pratt.